Adobe in our times has become one of the biggest digital solutions packaging brand. With multiple eBook readers, formatting tools, image processing software and CAD input tools from Adobe have become the leader in digital solutions. Adobe has become a great vehicle for spreading Digital awareness. Don’t believe us? Do these names, Adobe PDF, Photoshop, Lightroom, Acrobat and others ring a bell? Of course, You have these tool all around you and have made life better. Today we bring to you, another tool which drives Adobe programs light years ahead of any other media providers. And what makes it more wonderful is that most of the tools are free to use. Thus, we bring to you a tool which is bringing a great change in the way we bring our eLearning courses alive. The tool we have for you is Adobe Captivate. Adobe Captivate comes across as countries tool for bringing great interactivity for our courses. You are given a range of options, which make your learning, observing and drafting e-courses magical. The slogan of Adobe in describing Captivate, perfectly sums up what we get from Captivate tool. Adobe states that “go seamlessly from storyboarding to responsive eLearning design”. 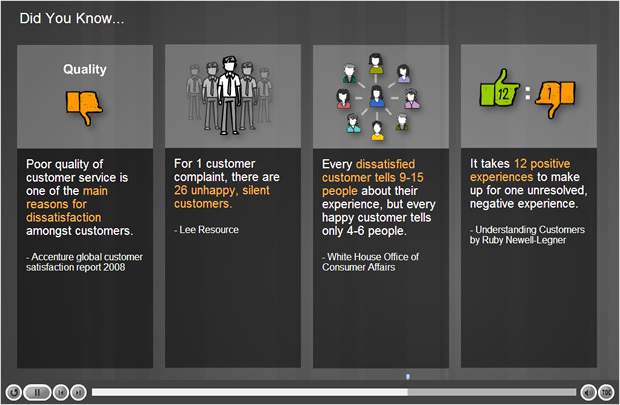 That statement shows us the broad process that undergoes with Adobe Captivate. Responsive designing capacity and with affordable pricing structure, this tool comes as a necessary tool for every publisher out there. However, to get the best out of Adobe Captivate, we need to look at its main elements. Also, we need to understand how Adobe Captivate works with its online store, to access various assets and resources. When we say assets, there are thousands of resources available online, which you will need to sign up to access. Go on explore then. To expand on the point, we took up in the previous discussion, the assets. Adobe Captivate boasts of a vast store of 25,000 assets which bring new features to the program and process. The magic of Adobe Captivate lies in the way it uses Adobe Captivate Draft to bring the best of publishing capabilities. In this regard, new Adobe Captivate Draft, which is a storyboarding app for the iPad that allows you to streamline your eLearning design and development process. What makes it more involving is that Adobe Captivate offers loads of upgrades and enhanced features. Ironically, most of these upgraded features weren’t present in the previous versions. The following are some of the innovative features we get with Adobe Captivate. Till now, it’s always been difficult to create eLearning materials on any other device rather than a PC. You could try with tablets, mobiles or others. Naturally, the interface would never allow you to explore all the options you need to bring out the best product. Adobe picked up this problem and turned it on its head. Adobe Captivate has found a way to bridge that gap between desktop and mobile with Adobe Captivate Draft for iPad and other tablets. 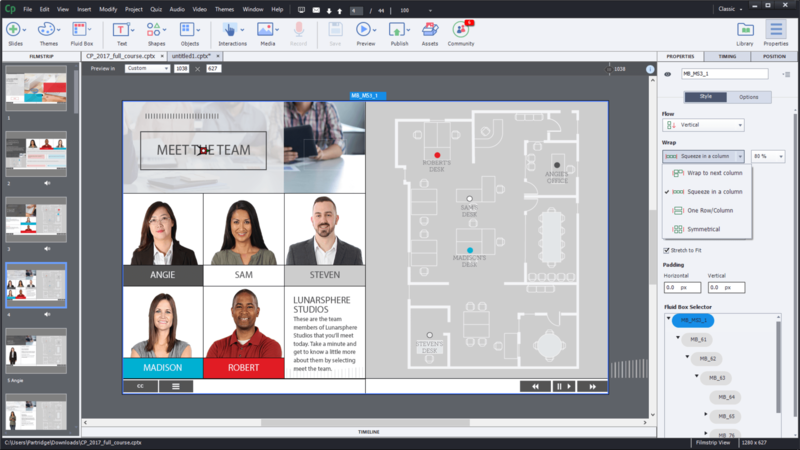 Now, you can storyboard your ideas in Captivate Draft and then send them to Captivate 9 for either further adjustments or immediate publishing. Adobe Captivate Draft majorly consists of an application which gives you all the features of eMaterials packaged in the app. Thus, It involves an iPad app, which also means that you can create online courses on the go and share them with online collaborators. In fact, other members of your eLearning team don’t even need to own Adobe Captivate 9 or the app to review the contents. After the storyboard is perfected, simply import it into the authoring tool and publish. 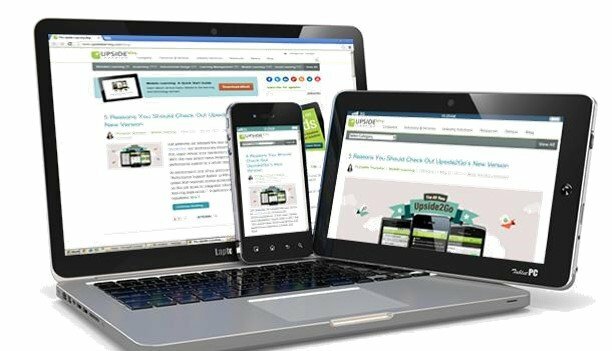 Responsive design is a must-have, as so many learners are now accessing eLearning courses on their mobile devices. Adobe Captivate 9 offers you the ability to create just one master class that can adapt to any device. For example, if a learner is accessing the eLearning course on their iPad, the tool will automatically adjust the layout of the page to fit the screen size and resolution. There is no need to design a separate eLearning course for every tablet, phone, or laptop; it’s all done for you. In a never before seen manner, you define which aspects of the interface you need at your fingertips. With Device related delivery system, ensures that your interface runs seamlessly with your device. Naturally, when you use the PC, the interface readjusts itself to bring the best features forward. Apart from layouts, text input dashboards, graphic elements are resized and readjusted to reflect your use. Of course, you can still bring flexibility to the interface, by dragging around the elements while in the design stage. Free assets are always welcome by everyone. Even more so, when such Assets are adding invaluable ease to the functioning of the tools on offer. Adobe Captivate 9 brings a high regarding asset store containing thousands of assets such as games, interactions, layouts, scenarios, people cutouts, and much more. Essentially, these allow you to design professional and attractive e-learning courses with minimum efforts. It adds to the functionality when Adobe is constantly updating the store periodically. Hence, the asset store within Adobe Captivate is perhaps the best feature to develop courses which feature all the contemporary factors of education and design. One other factor is that the assets which you see in the Adobe store, are compatible with almost all the versions of Captivate, and not just the latest version.Backwards compatibility for its assets becomes one of the biggest assets. Of all the times, in the installation of the Assets, the user suggestions plays an important role. Do you need this asset for your e-courses? Will the functionality of Adobe Captivate grow by bringing the particular asset? This is where Adobe Captivate makes it easier to bring assets which are only applicable to the user. It’s intelligent suggestion sensor, brings you recommendations depending on the user functions and requirements. Therefore, Adobe Store lists out in an intuitive manner all the compatible apps, date-wise, product-wise, and need-based. All the more reason to visit the Adobe Store and download the Store assets on Adobe Captivate. Adobe Captivate 9, in addition to the store tools also offers knowledge check questions. These are questions which can be added throughout your course to check how your students are doing. Naturally, These questions are not scored and can be retaken time and time. Remember all those times when you used to draft a question which the users could only attempt once in the middle of a course? Those times are gone. Check your students’ knowledge throughout the course and then add a full assessment at the end which can be tracked. Real-time assessment of the candidate score becomes important in bringing E-Learning analysis to good effect.Not only does Adobe Captivate 9 offer tests that assess learner knowledge. Also, these are required beforehand, and so are offered by Adobe. The module works best on completing an online module or course. However, it can also point your learners in the right direction after they complete the pretest. This is to have people get the most for their educational experience. After they complete the recommended module, the system then quizzes them again to monitor their progress. The new version also includes Knowledge Check questions to help learners stay on track. Adobe Captivate 9 is widely known to be a great interactive platform for including media content. It has over the years included many new tools and variations, which makes the platform beautiful to look at and work on. Adobe Captivate has the simplicity and relevant functionality for the authoring tool. 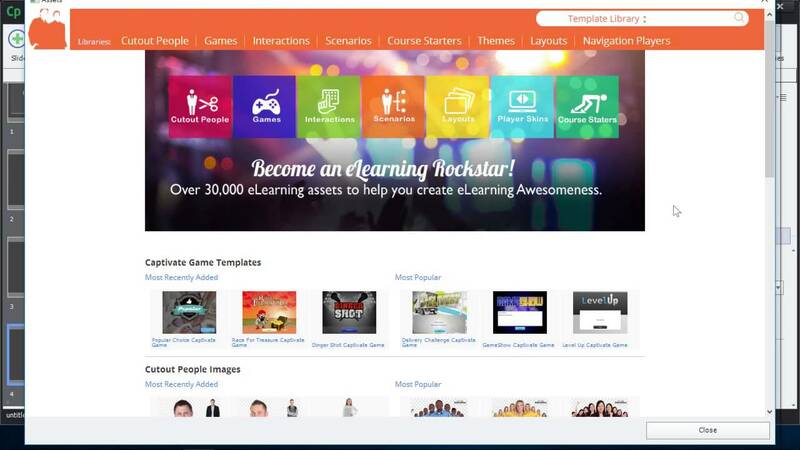 Thus, the platform allows for a more slicker experience and ultimately an eLearning course. You can now import Adobe Illustrator vector files (SVG), allowing you to make it larger or smaller while keeping the same file size. Similar to the ‘old days’ when you imported flash files into Captivate. Again a very useful feature that makes this a compelling authoring tool. You can now import Adobe Illustrator vector files (SVG), allowing you to make it larger or smaller while keeping the same file size. Similar to the ‘old days’ when you imported flash files into Captivate. Thus, multimedia integration becomes one of the most useful features that makes it a compelling publishing tool. Adobe Captivate 9 offers an impressive selection of multimedia tools, ranging from HD screen capture and screencasting to audio synchronisation and scenario branching. It also boasts audio-text captions, text-to-speech capabilities, and pan and zoom support. Adobe Captivate 9 truly excels when it comes to creating interactive eLearning experiences. We have materials all over the web. We have all the eLearning courses available in the world, mostly in the US domains which give all the information which is highly relatable to the learners from that region. Of course, the web brings information which makes us learn but sometimes just not connect. This is a feature that you won’t find with many other eLearning tools. Geo-location capabilities give you the power to detect the exact location of your learners so that you can deliver online content that is region-specific. For example, if you plan on localising your eLearning course for an international market, you can offer them the translated version of the eLearning course immediately. eLearning basing on the region specific inputs brings in more options to interaction and interactivity. In a simple example, eLearning courses designed for London is perhaps more applicable to English countries worldwide. In the same context, the same learning course in Adobe Captivate may come to be relevant for regions like South Africa, Australia, Wales, or India. But, in today’s world, universal acceptance is very important. You need to adapt it to suit all needs and language requirements. Hence the Geo-Location appeals to all the users across the world. Simple as that. Geo-Location makes the courses appealing and relatable to different regions like Middle Eastern, Asian, etc. you can also use the GeoLocation tool change the colour scheme, design, and even language of your eLearning. Different cultures can have different design conventions and even different symbolism. For instance, much of Western culture associates the colour black with death. However, in Japan, white is symbolic of death. With this in mind, you can use GeoLocation as a means to make sure that your course doesn’t give off the wrong message to a particular demographic. You can pride yourself if you can edit the shapes and structures of what you see and use within Adobe Captivate. Of course, with this particular tool, you have this is in abundance. Renowned for responsive e-learning, this tool can reduce your time and effort in creating customised buttons. It has improved the Smart shapes by adding new features such as regular, rollover and down states. This feature was not available in earlier versions of Captivate. Customised buttons were created in Photoshop and imported to Captivate. Of course, you need to have some skill while you are taking up the Photoshop structures, to arrive at the shapes accurately. Adobe Captivate comes in all pricing packages and brings an ease of use to all the region specific packs. You can either opt for the monthly subscription or one-time fee pricing model at the Adobe Captivate 9 pricing plans. The subscription option requires a $29.99 monthly fee, as well as an annual commitment that includes an early termination fee. If you’d prefer to purchase the license outright, the price tag is $1,099. However, if you already have Adobe 8, you can upgrade for $449.00. There is also a student and teacher edition that costs $349. Now, what are you waiting for then? Get your package working for you now. 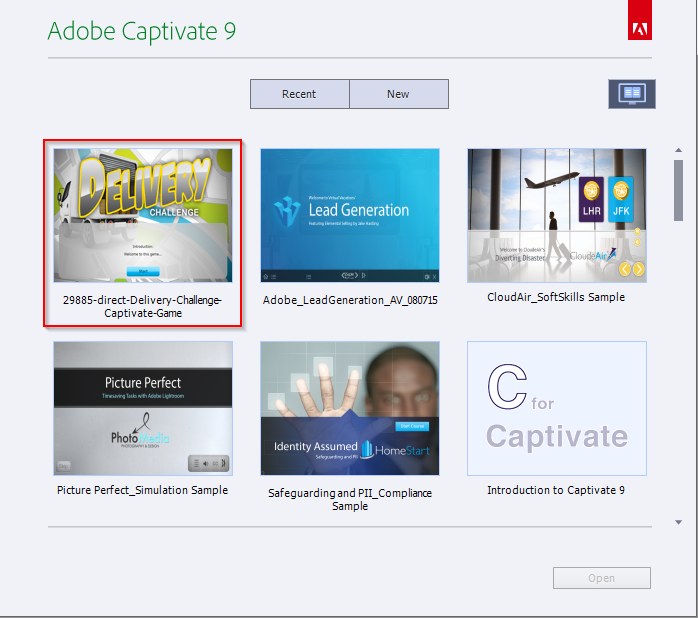 For all your SWF, Video and HTML5 needs bring Adobe Captivate to work for you right away. PreviousPrevious post:A Detailed Flash (Swf) To HTML5 Conversion Analysis – Tools, Services And MoreNextNext post:Tolino Reader And What Makes It Stand Out In Competition?